KS B1503 FLANGE FACING DIMENSIONS TONGUE FACE GROOVE FACE. FLANGE-FACING Male & Female Type. 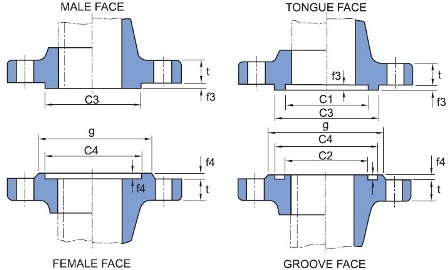 Tongue & Groove Type Dimensions in mm.